Logo Hamm-Lippstadt University of Applied Sciences Created with love. HSHL study program "Electronic Engineering"
Submission of one of the abovementioned certificates will be waived if there is a corresponding note on the final school or university entry qualification certificate on the grade of English knowledge acquired according to Common European Framework of Reference. Maybe you will find the answer you are looking for in our "Frequently asked questions". Take a look! In order to allow a direct career entry, the "Electronic Engineering" bachelor program ensures high practical relevance. Practical laboratory courses are already done in the first semesters, as addition to the theoretical principles. Here, the theoretical foundations are not only translated into practical units, but also supported by work in interdisciplinary teams, intercultural competencies as well as oral and written communication. Due to the acquired technical and interdisciplinary qualifications as well as the high practical relevance of the "Electronic Engineering" program, the students have the opportunity for taking a qualified employment in specialist and management positions in the following typical areas of application: research and development, production, marketing and sales of technical products, service, and project management. Get a quick impression of international students at Hamm-Lippstadt University of Applied Sciences and their experience. International Students of "Electronic Engineering"
"Do not be afraid of choosing the course of studies of Electronic Engineering here at HSHL! Whether you come from Germany or from any other country on the globe, here you can experience a multicultural group of students, who help each other to achieve the best results in studying." "I come from one of the Baltic countries called Lithuania and I am here to study "Electronic Engineering". Talking about the university itself, I really enjoy the fact that it is very new and modern. I am also glad to get lectures from professors, who are very experienced, in fact we - me and my course mates - constantly remind ourselves what a great opportunity we have here." 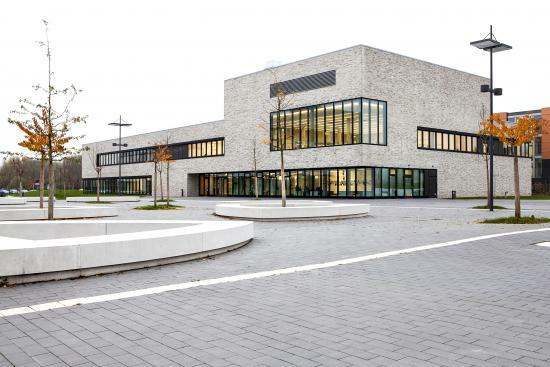 Hamm-Lippstadt University of Applied Sciences offers this degree program on the Lippstadt Campus. Advisory services for prospective students are also available here. The Campus Office, the International Office and the General Student Counselling will be glad to answer your question regarding your studies.